Singapore has earned the second spot on People for the Ethical Treatment of Animals' (PETA) list of top 10 most vegan-friendly cities in Asia. The animal rights group said that Singapore has a "roaring vegan scene," with a wide range of offerings such as vegan chicken, meat-free pulled barbecue, and dairy-free mac 'n' cheese. A vegan diet is plant-based and excludes all animal products like meat, fish, eggs, and dairy. PETA also highlighted several eateries offering tasty vegan treats which included VeganBurg's plant-based burgers, nomVnom's QQ Cheezy burger, and Brownice Italian Vegan Ice Cream & Kitchen's vegan barbecue chicken pizza. For dishes with local flavours, it recommended Genesis Vegan Restaurant's "fish head" vermicelli and "chicken" rice, Loving Hut's nyonya laksa and mee pok, Gokul Vegetarian Restaurant's claypot curry "chicken" as well as VegCafe's vegan char kway teow, mee siam, and tofu goreng. PETA vice president of international campaigns Jason Baker said: "Whether you're looking for first-rate artisanal food, a decadent dessert, or a low-key lunch, Singapore has the vegan restaurant for you. 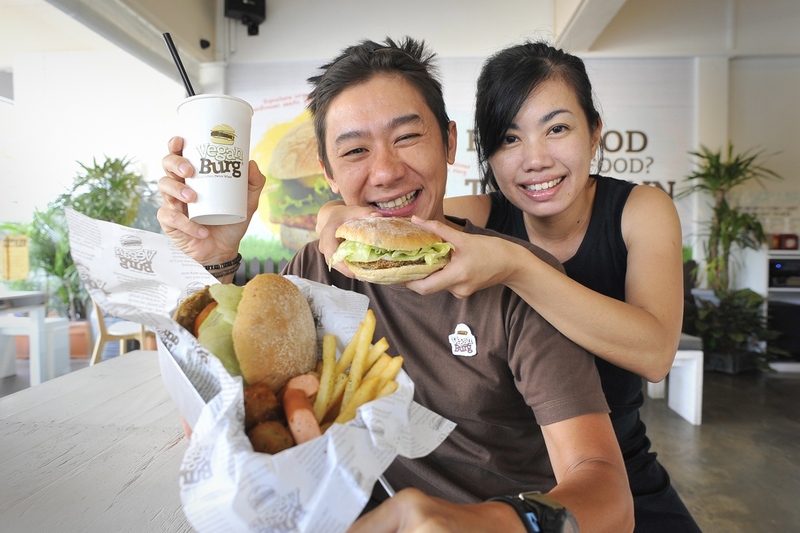 PETA loves Singapore for its top-notch cruelty-free grub that satisfies appetites while being kind to animals." In recent years, there has been a rise in the number of Singaporeans switching to a vegan diet, which is linked with lower risks of health problems such as heart disease, diabetes, obesity, and certain cancers. However, nutritionists often remind vegans to plan their meals carefully in order to prevent deficiencies in vitamin B12, vitamin D, zinc, and iron. Whole Earth is a Peranakan Thai Vegetarian restaurant located in the Tanjong Pagar district. Located in a heritage shophouse, the interior of this restaurant combines Thai influences with its distinctive local taste. Word on the street is you can't miss trying their Signature Olive Brown Rice, which packs a lot more flavour than you would expect with high-quality grains of rice. If you're a lover of spice, a must-try is the Penang Rendang, which arrives in big portions. The Nyonya curry is another crowd favourite, made of shiitake mushrooms and potatoes, painstakingly prepared over eight hours. Komala Vilas first opened its doors in 1947 and is one of the most beloved Vegetarian Indian establishments in town. Even though you will find it being advertised in lots of tourist publications, it remains a favourite of locals from Pasir Ris to Jurong. Komala Villas does an unpretentious and reliable take on south Indian cuisine, and really hits the spot when you're craving some thosai, idlis, or thali sets They have multiple outlets scattered across the Little India enclave, and even though it can get crowded in all three locations, you'll find the service efficient and the food unforgettable. Founded 18 years ago, the first and only Mediterranean Vegetarian restaurant in Singapore has won countless awards for its top-notch vegetarian cuisine. The calming and lovely ambience is suitable for both romantic dinners as well as group outings. The food is delicious, and you'd be amazed at how the different ingredients and flavours can come together in the deceptively simple vegetarian dishes. Be sure to try their fritters and magic mushroom, which are definite crowd pleasers. You'll also want to save some room for the Bosco Misto, a delightful combination of tofu with feta and spinach patty dressed in mushroom plum sauce. Set in a quieter side of Singapore at Kranji, Poison Ivy Bistro has the perfect antidote for your big city blues. Come here for a meal after your walk around Bollywood Veggies, a local farm that grows a variety of vegetables, fruit, flowers and herbs. Naturally, the food you order at Poison Ivy Bistro is made with the freshest farm produce. Since Bollywood Veggies is Singapore's largest producer of organic bananas, you must try Poison Ivy's Bolly Banana Curry, which puts a new twist on a familiar dish as the texture of the banana is akin to potatoes. Another recommendation is their Otah Omelette, which is neither Otah nor omelette. The combination will be a wonderful surprise. Nestled in the luscious greenery of Bishan Park, The Green Room Cafe is a vegetarian and raw cafe with a menu built on fresh ingredients, serving up a variety of hot meals and desserts. You'll be able to enjoy a quiet afternoon here, seated at one of their alfresco tables. Look forward to their rice paper samosas which are little pockets of spiced herbs and vegetables wrapped in rice paper and topped off with coconut chutney. If you're hungry for something more local, try their vegan soy milk laksa. You'll rejoice at this healthier alternative, where the richness of the gravy is not at all compromised by the vegetarian substitutes. For raw food that is healthy and delicious, The Living Cafe is the place to go in Singapore. Raw food requires that no ingredient be subjected to heat above 48 degrees Celsius, in the belief that this best preserves the health benefits of the produce. You must dig into their Quinoa Burger and Veggie Delight Pizza to understand how fantastic their food can be. 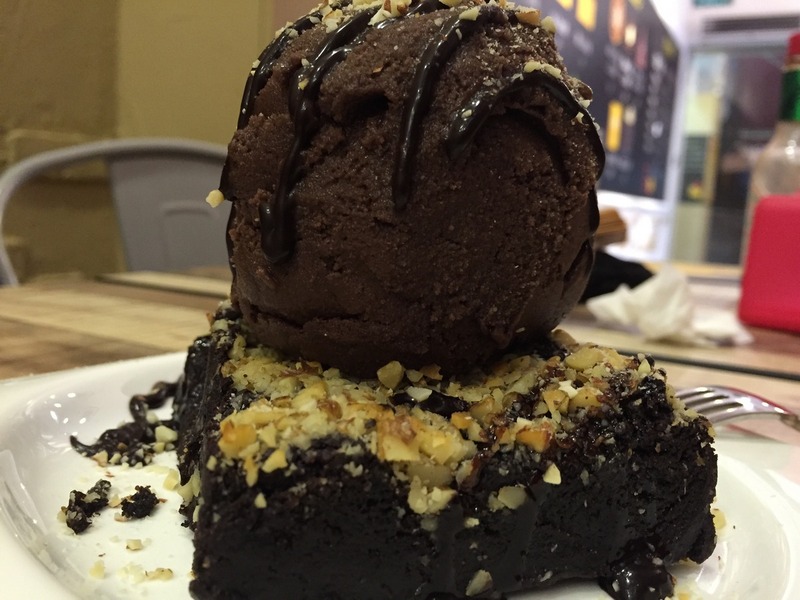 The ingredients are never compromised in any way and come to you with their natural goodness completely intact.